Brace yourself for one of the most difficult decisions you’ll have to make this year. 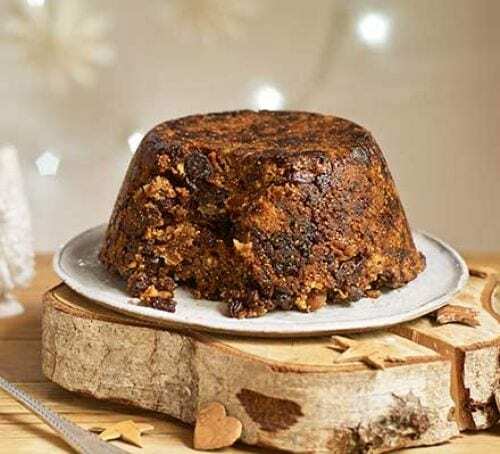 With an unbearably delicious selection of vegan Christmas recipes out there to choose from, Totally Vegan Buzz brings you the ultimate list of the best recipes to round off your perfect festive meal. You might also want to see our top Christmas main course recipes, or the best festive side dishes for 2018. 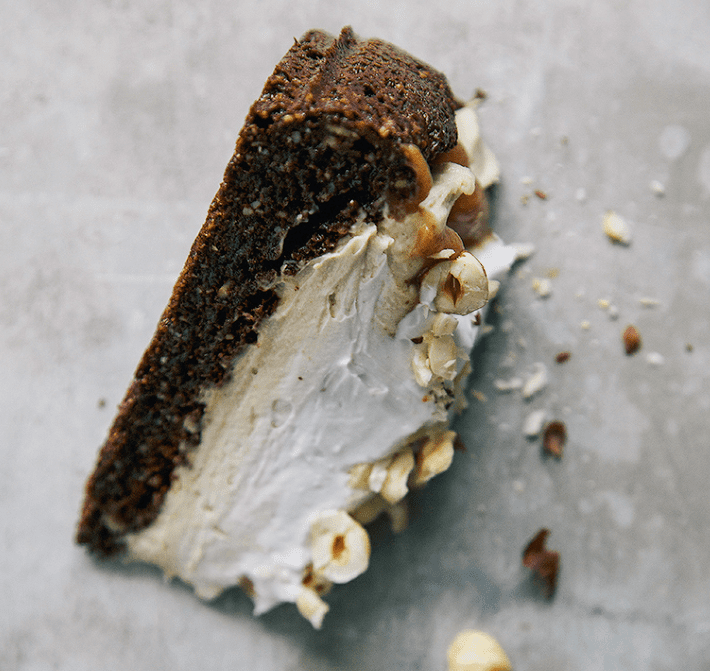 This chocolate date torte features a chocolate brownie base with salty date caramel and coconut cream. Recipe by The First Mess. 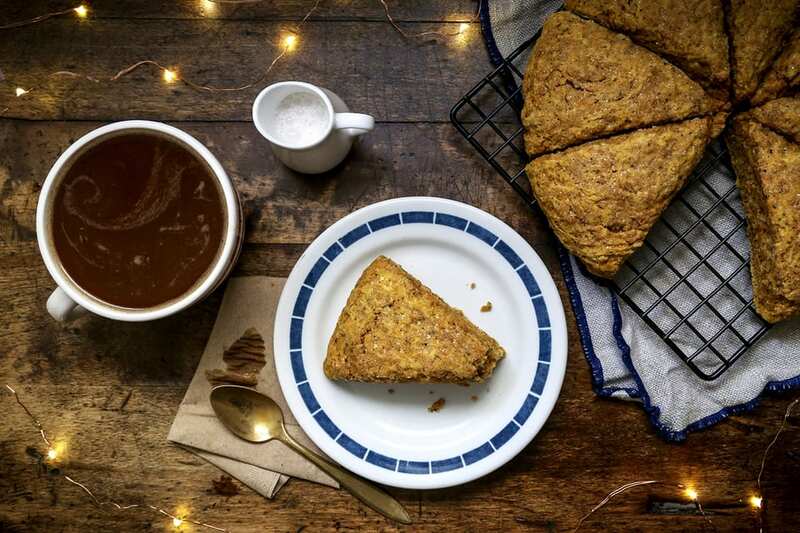 These explosive scones feature chai spiced tea and sweet potato puree. Recipe by Thug Kitchen. 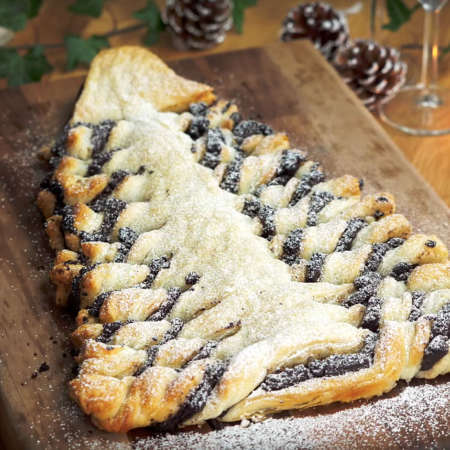 This decadent totally vegan treat is a simple recipe featuring puff pastry, dark chocolate and maple syrup. Recipe by BOSH! 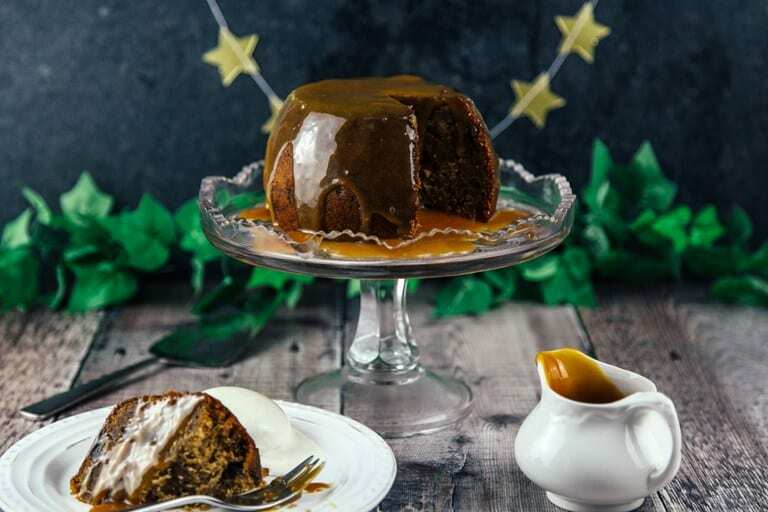 A vegan sticky toffee pudding packed with ginger for the perfect end to a Christmas feast. 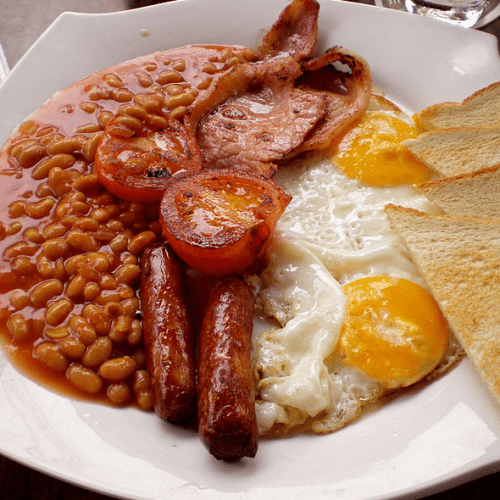 Recipe by Great British Chefs. 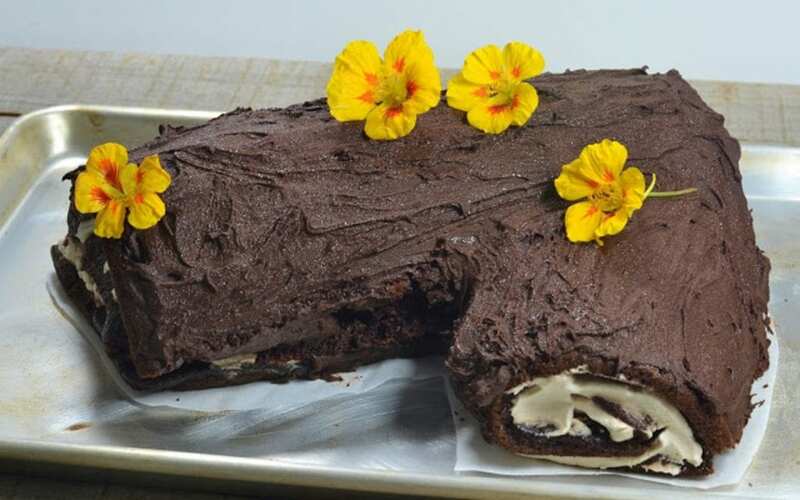 This festive twist on a Swiss roll can easily be turned vegan, and is just as deliciously decadent as its dairy alternative. Recipe by One Green Planet. 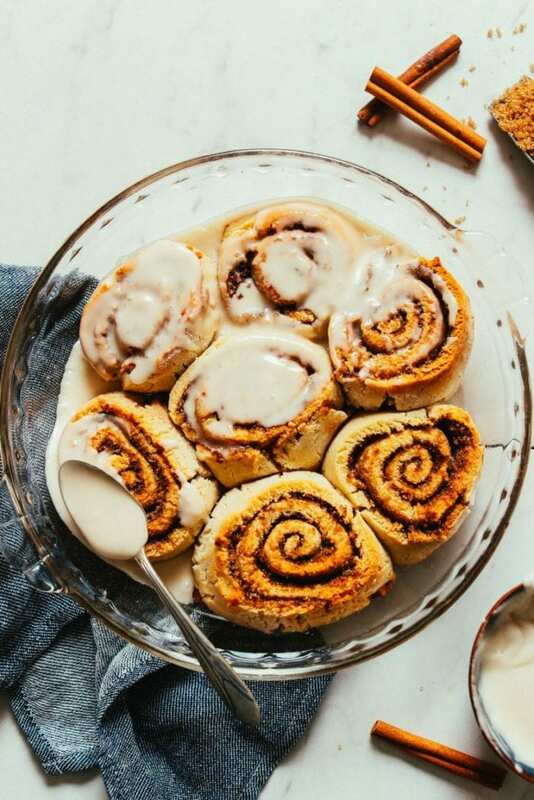 Vegan cinnamon rolls. Image: Minimalist Baker. These cinnamon rolls are totally gluten free, bursting with flavour and surprisingly easy to bake. Recipe by Minimalist Baker. Vegan gluten-free fruit cake. 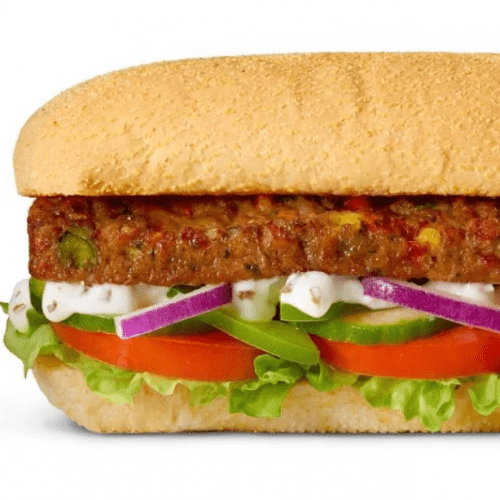 Image: Vegan Richa. 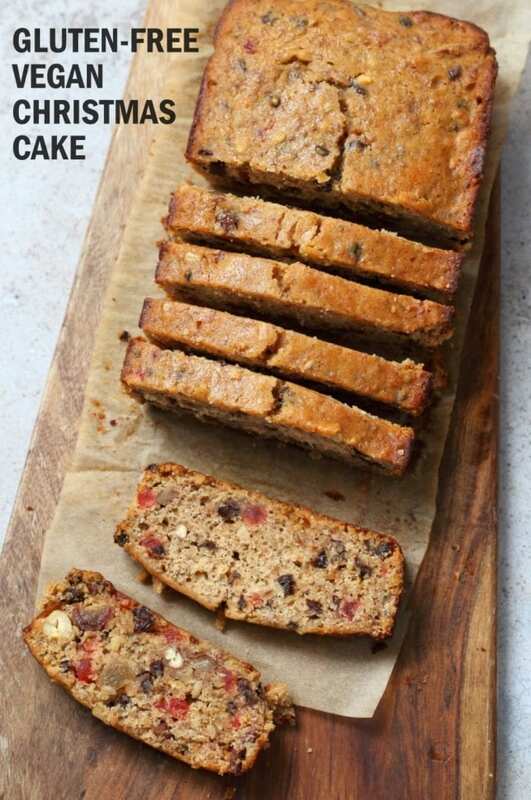 This Christmas fruit-cake is gluten free and features nuts, dried fruits, dates, seeds and candied ginger. Recipe by Vegan Richa. A simple pudding recipe featuring avocado, unsweetened cocoa powder, rice milk, maple syrup and vanilla extract. Recipe by Simple Vegan. A vegan Christmas cake crammed full of dried figs, raisins, sultanas and rum. Best served with vegan ice cream. Recipe by BBC Food. 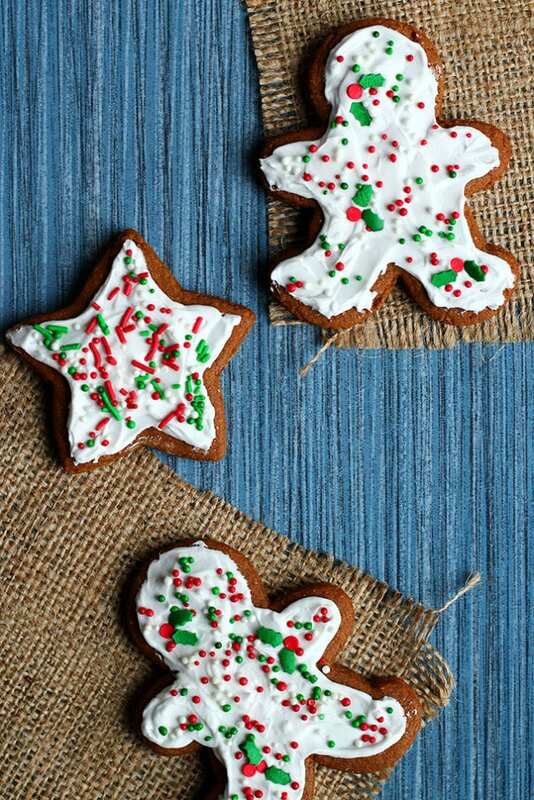 Cookies bursting with ginger flavour – beautifully shaped and decorated with festive icing. Recipe by I Love Vegan. Vegan pumpkin pie. Image: The Edgy Veg. 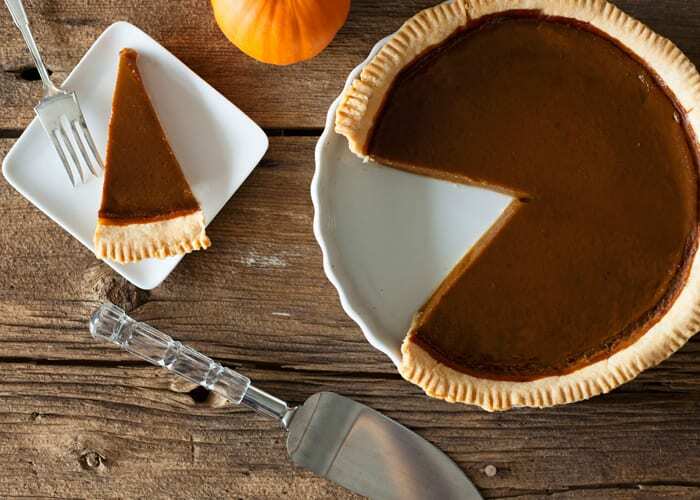 The secret to this mouth-watering pumpkin pie is in the spices. Recipe by The Edgy Veg. 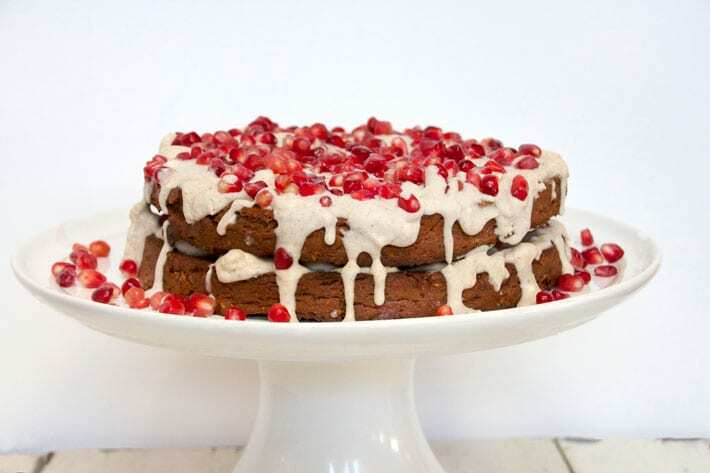 This chocolate cake is pure heaven, featuring sweet potatoes and generous helpings of cinnamon, honey and pomegranates. 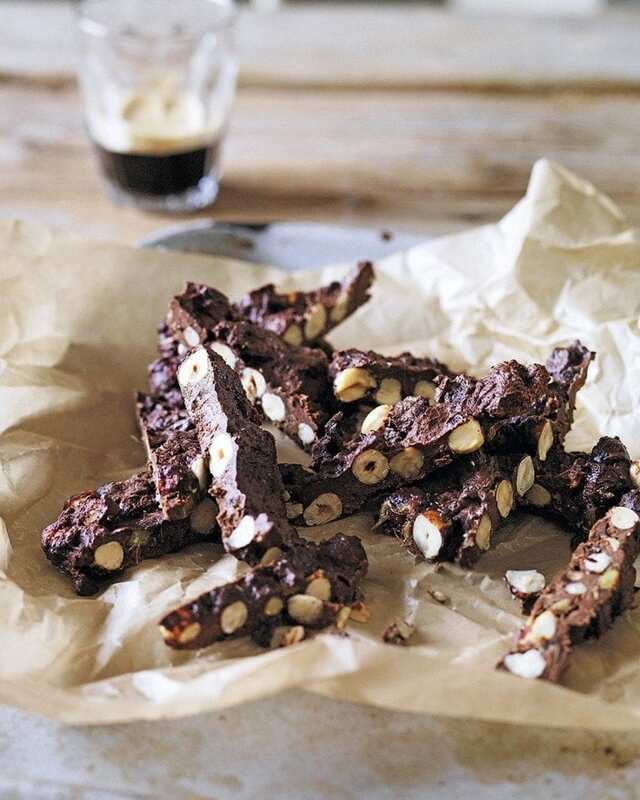 Recipe by Deliciously Ella. These gooey, nutty chocolate brownies feature heaps of dark chocolate and cocoa powder. Recipe by Jamie Oliver. 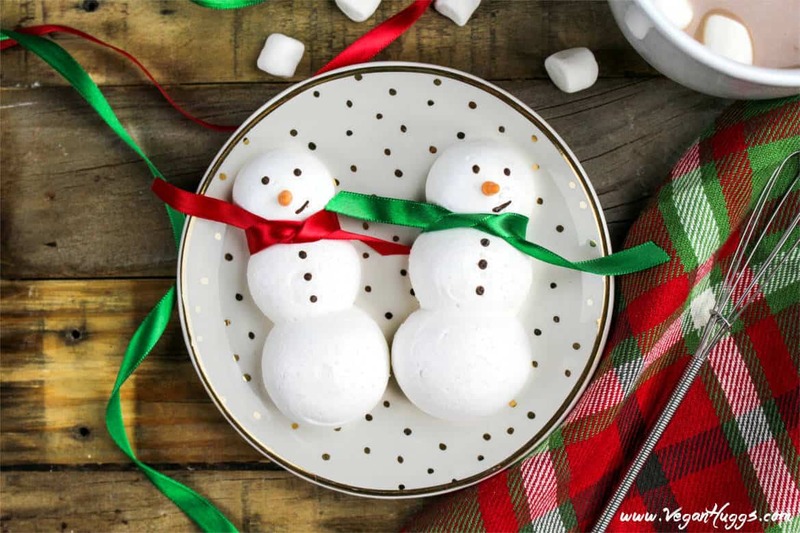 The secret to binding these adorable meringue snowmen cookies is the use of chickpea water in place of eggs. Recipe by Vegan Huggs. 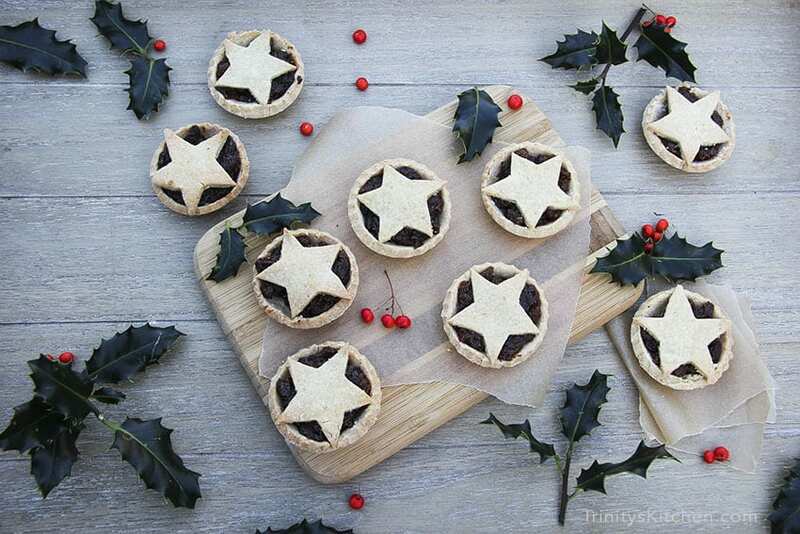 Theses sweet mince pies are totally vegan and gluten-free. They feature warming winter spices including cardamom, cinnamon and ginger. Recipe by Trinity’s Kitchen. Chocolate fudge crammed full of cacao and coconut milk – to go perfectly with a Christmas coffee. Recipe from Delicious Magazine. 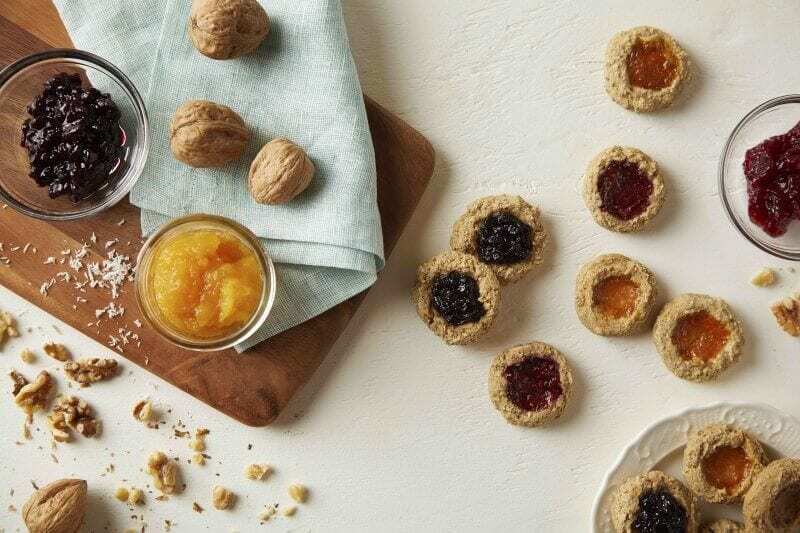 The assorted, walnutty cookies come in a variety of flavours including strawberry, mixed berry, mango and apricot. Recipe by Forks Over Knives. 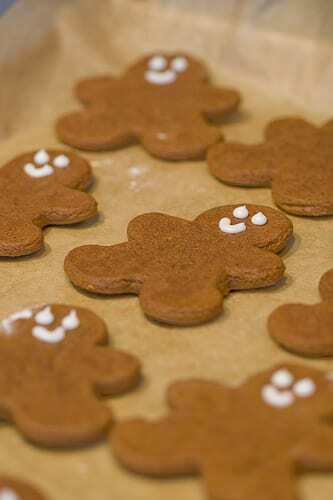 Design your own gingerbread cookies with a delicious combination of nutmeg, cloves, ginger and cinnamon. Recipe by Isa Chandra. 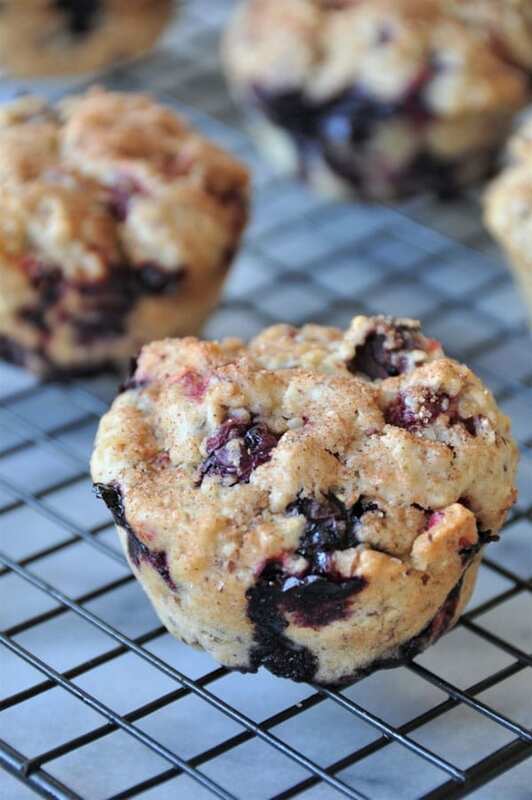 These muffins feature the perfect combination of tart and tangy cranberries with sweet, plump blueberries. 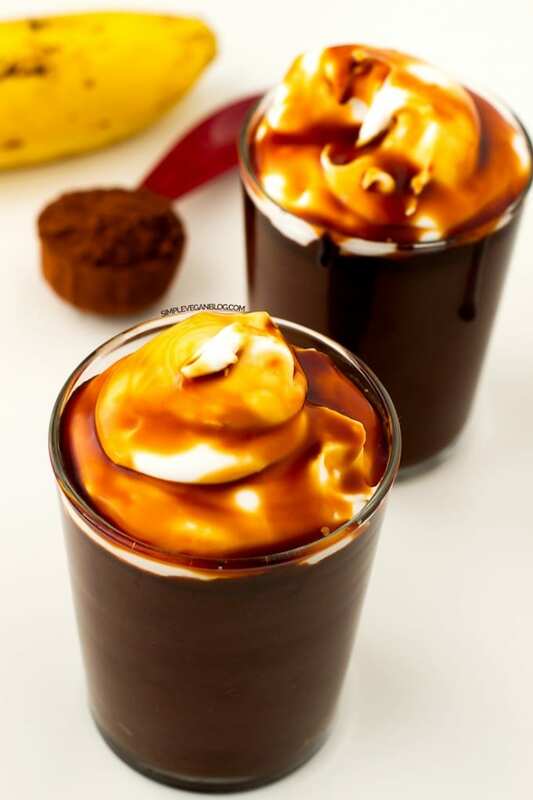 Recipe by Veganosity. 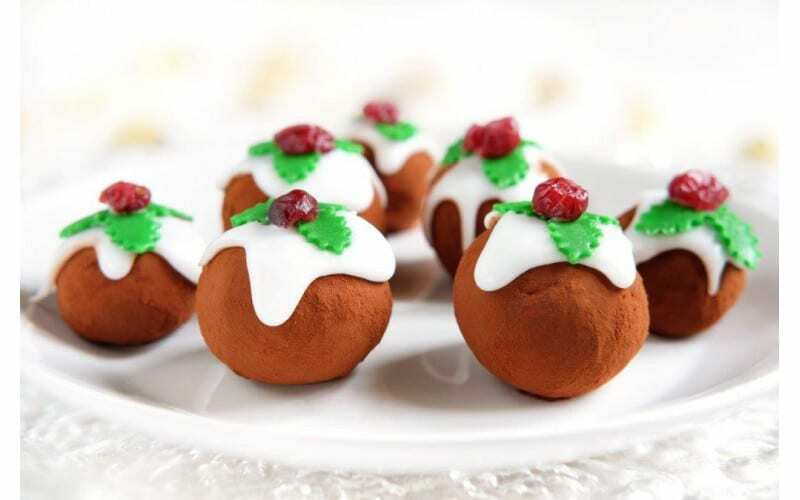 Which is your favourite vegan Christmas dessert? Tell us in the comments section below!